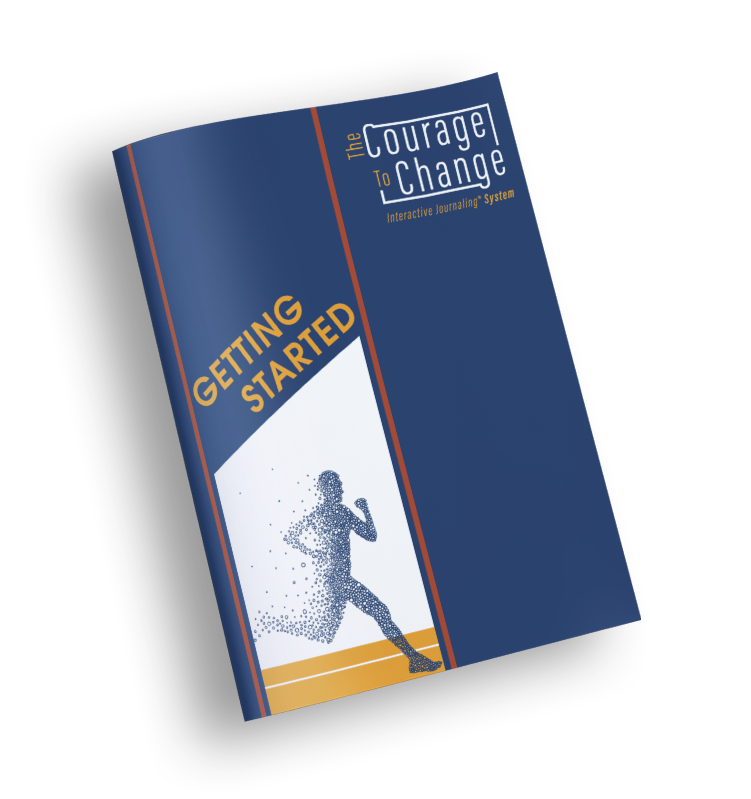 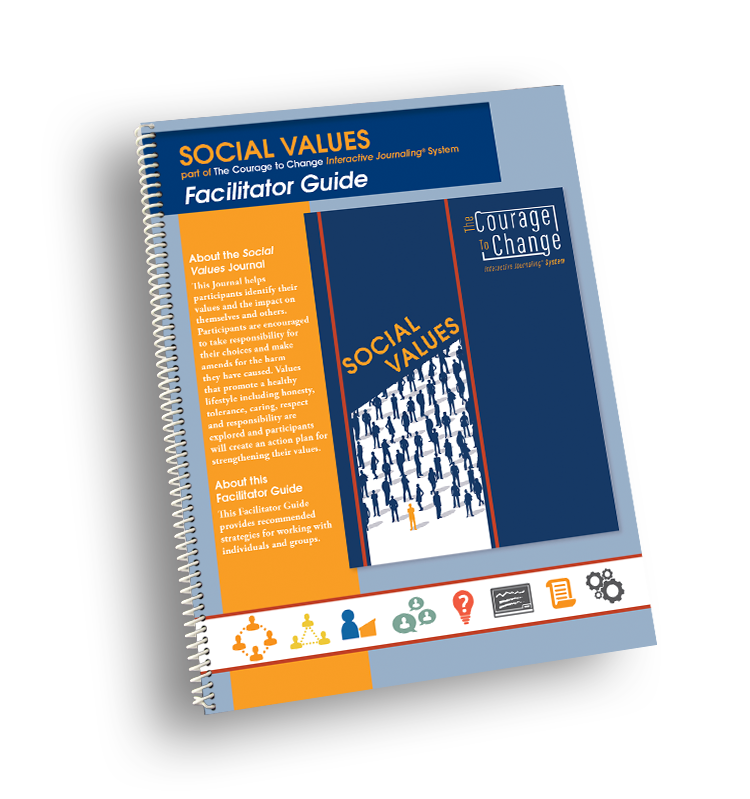 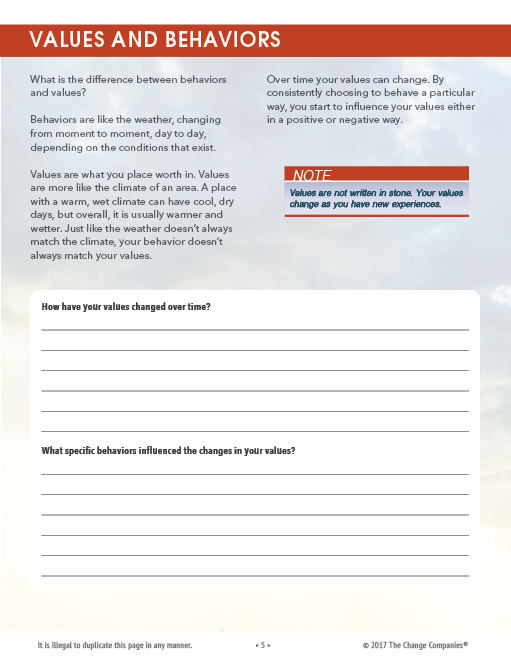 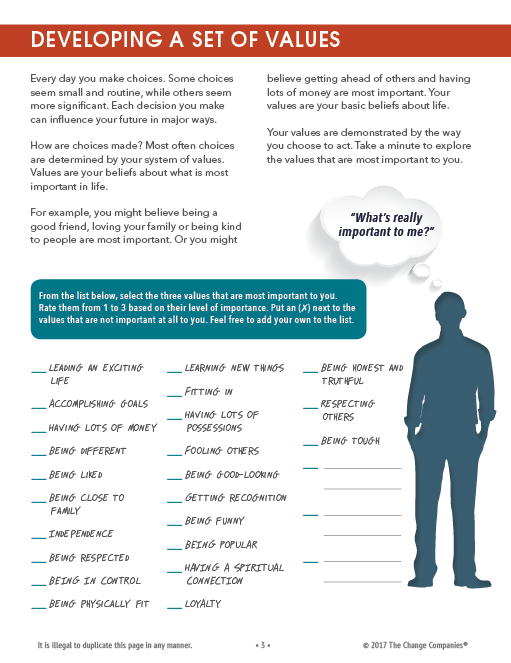 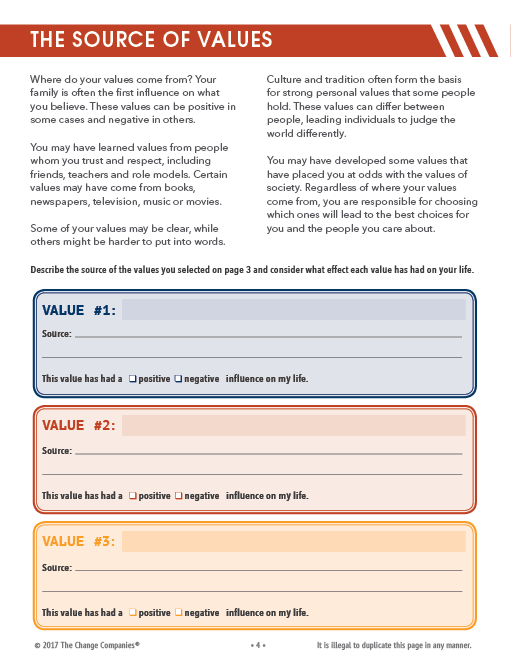 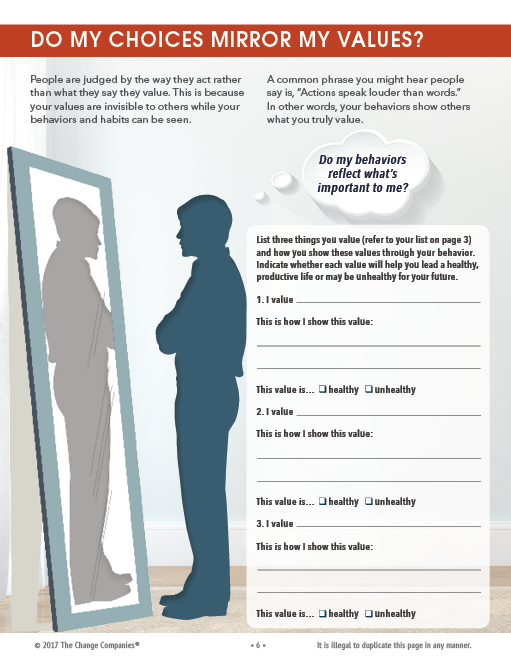 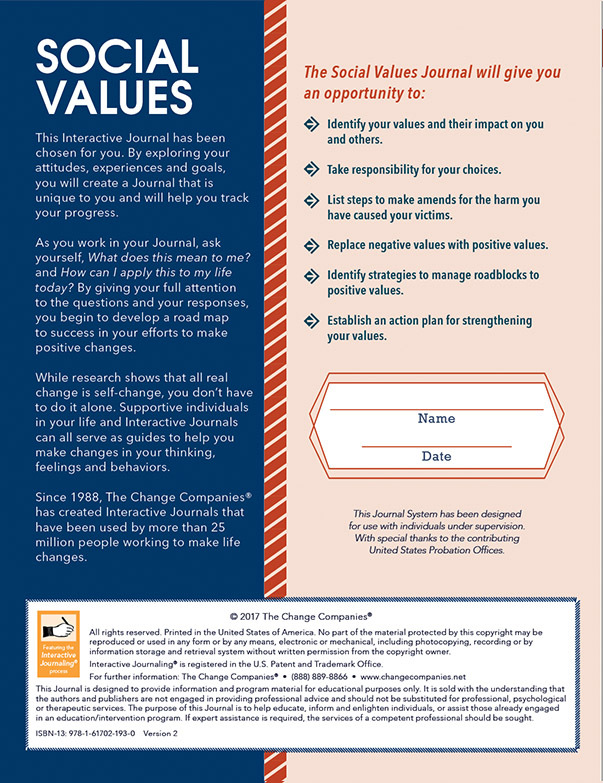 This Journal helps participants identify their values and the impact on themselves and others. 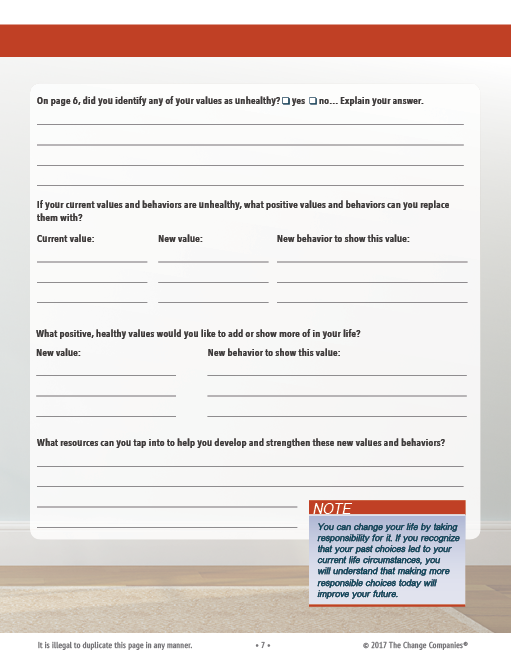 Participants are encouraged to take responsibility for their choices and make amends for the harm they have caused. 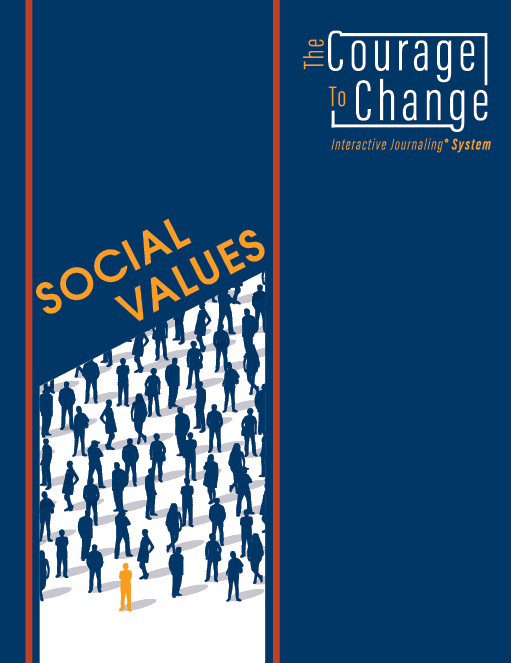 Values that promote a healthy lifestyle including honesty, tolerance, caring, respect and responsibility are explored and participants will create an action plan for strengthening their values.